"Pick your strategy to survive the apocalypse!" Game Goal: Join the survivors of a city taken over by blood-lusty zombies who are always ready to attack without hesitation. How to Play: This game is a mixture of RPG and strategy games. In this case, the player needs to manage resources like food, water and weapons wisely to keep the survivors calm and keep them ready to face the undead. Graphics: The sets and characters were inspired by the original comic story of Robert Kirkman which, among other positive points, are notable for their dark graphics and rich details and textures. Sound: The music and sound effects enhance the horror of the game environment. Game play: Immersive and intuitive. Controls: The user controls the game by tapping the screen. Content Classification: Contains strong language. Suitable for players 16 years and older. Useful Tips: Pay attention to the early stages of the game, which serve as a tutorial teaching you to better understand the mechanics of the game. Developer: Phase One Games LLC is based in United States	- Google-Play-trusted developer. 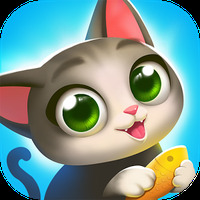 Ranking: The TOP 1 Most downloaded games in City Building Games category. Beautiful graphics, inspired by the comic books of Robert Kirkman. The game is slow, requiring some extra patience from those who do not want to spend money to get more energy. 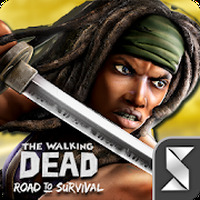 Do you like Walking Dead: Road to Survival?